The Yankees have changed up their infield. 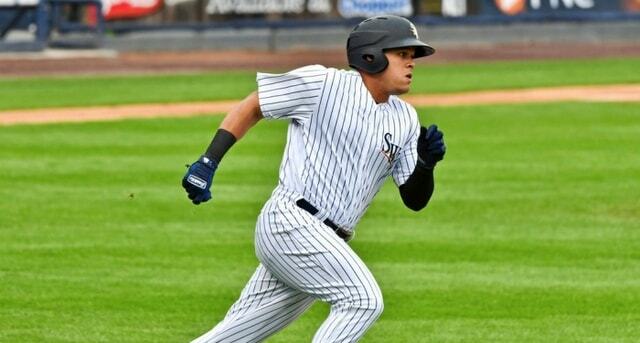 Gio Urshela has been called up and Thairo Estrada has been sent down to Triple-A Scranton, the Yankees announced. Didi Gregorius was transferred to the 60-day injured list to clear a 40-man spot for Urshela. I thought this would be the move Thursday when Troy Tulowitzki got hurt. Close enough. It seems the Yankees called up Estrada, who was already on the 40-man roster, following the Tulowitzki injury on Wednesday because it was the easiest move. That got them through Thursday, then the Yankees used yesterday’s off-day to reevaluate things and make a more long-term decision, which led to them summoning Urshela. Estrada, 23, did not play Thursday and he really needs regular at-bats after missing most of last year to various injuries. Sitting on the big league bench and playing maybe twice a week isn’t what he needs at this point. Estrada has to play and play every single day. Triple-A Scranton is the best place for that. The 27-year-old Urshela is a career .225/.274/.315 (57 wRC+) hitter in 499 big league plate appearances — he is 4-for-9 and two doubles in two Triple-A this year — but he’s an excellent third base defender who can play shortstop as well. The Yankees can sit him for days at a time and not worry about it. My guess is Urshela and Tyler Wade will platoon for the time being. Urshela will play third base against lefties and Wade will play second base against righties, with DJ LeMahieu moving between second and third as necessary. That seems like the best way to maximize the personnel on the roster. Urshela is out of minor league options, and because he is relatively young and can play the left side of the infield well, he’s a candidate to be lost on waivers when the time comes. I wonder if that means Wade is going to Triple-A when Tulowitzki returns? Let’s not get ahead of ourselves. Let’s see Tulowitzki get healthy first. Gregorius joins Ben Heller and Jordan Montgomery on the 60-day injured list. All three are rehabbing from Tommy John surgery. Jacoby Ellsbury is likely a 60-day injured list candidate at this point, so he’ll be the next move when a 40-man spot is needed. Miguel Andujar would be a 60-day injured list candidate should he need season-ending shoulder surgery. As the MLB player portion of our 2019 Season Preview series winds down, it’s time to hit on the depth position players, the guys every team needs but doesn’t want to use. The third catcher, the sixth outfielder, the backup backup utility infielder. Players like that. Inevitably, a few of these deep depth guys find their way to the big leagues each season. It is part of baseball. At perfect health, the Yankees have good depth options on the infield (Tyler Wade) and in the outfield (Clint Frazier). They’re not at perfect health though. Aaron Hicks is hurt and Frazier is ticketed for Triple-A to get regular at-bats after losing so much time to injury last year. Beyond them, this year’s cast of depth players includes the usual non-roster types, the incumbent third catcher, a late-spring addition, and a well-paid question market. Let’s preview the depth guys. It is kinda weird to include the third highest paid Yankee with the depth position players, but that’s where Jacoby Ellsbury is with the Yankees now. He has not played since the 2017 ALCS — Ellsbury pinch-hit in Game One and pinch-ran in Game Four, and that was it that series — and various injuries sidelined him all last season. Most notably, Ellsbury had hip surgery in August, and he’s still rehabbing. Ellsbury stayed home in Arizona for a few weeks before finally reporting to Spring Training last weekend to continue his rehab. He recently started running on flat ground and is doing very light baseball activities. Hitting off a tee, playing catch at short distances, things like that. Ellsbury is not in Spring Training mode. He’s still in rehab mode and is presumably weeks away from really ramping up his baseball work. In addition to not playing in over a year, Ellsbury was not a lineup regular the last time he did play, and he is a 35-year-old speed guy coming off major hip surgery. You’d expect him to slow down and his skills to diminish at that age anyway. Add in the surgery and it is basically impossible to know what to expect this season, assuming Ellsbury makes it back on to the field at some point. That’s not a given. The Yankees reportedly have insurance on Ellsbury’s contract and his current status indicates he’ll spend at least a few weeks on the injured list. They’ll collect insurance while he rehabs, monitor his progress, then make a decision about his future when he’s ready to play in a big league game. It could be they Yankees will need Ellsbury like they needed him last August, when Shane Robinson and Neil Walker were playing right field. There’s also a non-zero chance the Yankees will have no room for Ellsbury, and release him the way they released Alex Rodriguez three years ago, or the way the Red Sox released Pablo Sandoval and Hanley Ramirez, or the way the Dodgers released Carl Crawford. Teams are increasingly willing to release unproductive players with multiple years on their big contracts. Ellsbury could be next. For now, Ellsbury is still rehabbing, and it’s unclear when he’ll return to game action. Between his rehab work and rehab games, it sounds like he’s weeks away from returning. It’s impossible to know what to expect from him but it is difficult to envision him fitting into the outfield picture when the Yankees are full healthy. There’s not much we can do other than wait and see. Ellsbury may’ve already played his final game in pinstripes. Or it could be they’ll need him in the lineup once he’s healthy. Higashioka is an ideal third catcher. He really is. He has a minor league option remaining, so the Yankees can shuttle him in and out as necessary this year, and he already knows the pitching staff. Higashioka has been in the farm system since 2008, he’s been in big league camp every year since 2015, and he’s had multiple stints with the MLB team the last two years. He’s not some scrap heap pickup who has no history with the pitchers, you know? Also, Higashioka can put a mistake in the seats, which is about all you could ask from the third string catcher offensively. Expecting a third catcher to hit for average and draw walks and hit for power isn’t realistic. If he could do even two of those things, he wouldn’t be a third catcher. He’d be starting or at least backing up somewhere, not riding the shuttle. Higashioka rates well defensively, he has some pop, and he’s optionable. What more could you want from the third guy on the catching depth chart? The Yankees have a good third catcher situation right now, and, in a perfect world, we won’t see Higashioka until rosters expand in September. (The 28-man September roster limit kicks in next year.) A healthy Gary Sanchez and a healthy Austin Romine is the best thing for the Yankees. Chances are one of them will miss time though (catchers are known to get beat up), and when they do, the perfectly cromulent Higashioka will step in as backup. He’s fine. Can’t say I expected to write a Mike Tauchman (!?) season preview blurb this year, but here we are. The Yankees acquired Tauchman from the Rockies for lefty relief prospect Phil Diehl over the weekend, and Tauchman will be on the Opening Day roster as Aaron Hicks’ replacement. Tyler Wade, who seemed to have a roster spot locked up, had the rug pulled out from under him at the end of camp. Ouch. “Excited to get a guy that we feel is pretty talented and can play multiple positions out in the outfield, a guy that does have options,” said Aaron Boone to Brendan Kuty following the trade. Tauchman has only a little big league time, hitting .153/.265/.203 (17 wRC+) in 69 plate appearances spread across multiple cups of coffee, but he did lose his glove over the wall while trying to rob a home run once, and that’s kinda funny. ?Your browser does not support iframes. Tauchman, 28, can play all three outfield positions and play them well enough, which is pretty important. The Yankees were short on upper level outfield depth — Clint Frazier, their only true depth outfielder on the 40-man roster, can’t (or shouldn’t) play center — plus he’s a left-handed hitter, which is something the big league lineup lacks. As far as fourth outfielders go, Tauchman fits the profile. Going from one homer in 527 plate appearances one year to 16 homers in 475 plate appearances the next is really something, especially when it coincides with a mechanical change. Tauchman hit four more homers in four fewer plate appearances the following year, and look at those ground ball rates. Grounders going down, power numbers going up. It is the way of the world. That all said, my dude has spent three straight season in Triple-A (with a few short MLB call-ups mixed in). You’d expect any player to improve his performance each time he repeats the level. Tauchman’s not special in that regard. It is difficult — if not impossible — to separate what is legitimate mechanics-related improvement and what is statistical noise stemming from a guy playing at the same minor league level year after year. I know this much: Tauchman fills a need and the Yankees are really good at identifying talent in other organizations. Didi Gregorius and Aaron Hicks were post-hype prospects. Chad Green was an afterthought Double-A starter. Luke Voit was repeating Triple-A when the Yankees came calling. A 28-year-old outfielder who has never appeared on any prospect lists and was heading into his fourth Triple-A season hardly screams sleeper, but … maybe? You never want to see them, but sometimes they’re necessary. Shane Robinson was maybe eighth on the outfield depth going into Spring Training last year, yet he appeared in 25 big league games with the Yankees. Jace Peterson went from non-roster invitee in the spring to starting in left field in April. Ji-Man Choi, Mason Williams, and Pete Kozma all spent time with the Yankees in 2017. Injuries happen, and sometimes teams have to call up players they were hoping they wouldn’t have to call up. C‘est la vie. The Yankees had three position players with MLB service time in camp as non-roster players this year: Ryan Lavarnway, Billy Burns, and Gio Urshela. Lavarnway is at best the fourth catcher behind Sanchez, Romine, and Higashioka, so if we see him in the Bronx this season, it will mean something really went wrong. I was surprised the Yankees signed Lavarnway because he doesn’t seem like their type (bad pitch-framer, etc. ), but whatever. His best skill is power. Lavarnway is the deep catcher option. Among these non-40-man roster depth guys, Burns likely has the best chance at seeing big league time this year. He is a true center fielder, and Aaron Hicks is already hurt, so a Brett Gardner injury could land Burns in the Bronx. Seriously. Gardner filling in for Hicks with Tauchman (or Tyler Wade) as the backup center fielder is a good short-term plan. In a long-term injury situation, the speedy Burns makes more sense as a reserve outfielder. He’s a speed and defense guy who is better at speeding and defensing than Robinson, basically. Urshela is only 27 and he is a fantastic defender at third base. Offensively, he’ll punish a mistake, and that’s about it, which is fine. Should Miguel Andujar miss time with injury, I assume DJ LeMahieu would step in at third base. If Andujar and LeMahieu miss time, the Yankees still might go with Wade (or 40-man roster guy Thairo Estrada) over Urshela. Urshela’s a great Triple-A player and good MLB depth piece. It’ll take a few infield injuries to get him to the Bronx this summer. Given the way Spring Training went, we’ll probably see him at third base in two weeks. ?Your browser does not support iframes. The Yankees dropped this afternoon’s game to the Blue Jays. Gleyber Torres provided the only offense with a three-run home run. Miguel Andujar doubled while Brett Gardner, Austin Romine, and Tyler Wade had singles. Masahiro Tanaka was sharp in his two scoreless innings. Next time we see him will be Opening Day. Aroldis Chapman faced four batters and retired one. It was ugly. Better he gets it out of his system now than next week. In case you missed it earlier, the Yankees traded lefty reliever Phil Diehl to the Rockies for outfielder Mike Tauchman. There’s a chance Tauchman will make the Opening Day roster, which would seem to be bad news for Greg Bird or Tyler Wade. According to a report during the YES Network broadcast, Luis Severino (shoulder) played catch at 90 feet today as scheduled, and everything went well. He’s doing better mechanically after feeling a bit off during his first day of throwing. Not sure what the next step is for Severino. Following last night’s game Gio Urshela and Kyle Holder were reassigned to minor league camp, the Yankees announced. Nestor Cortes, Estevan Florial, and David Hale were sent down today. The Yankees will begin the regular season with a 24-man roster while Sabathia serves his suspension, so there are still five more cuts coming following the Tauchman trade. And finally, Stephen Tarpley was named the James P. Dawson Award winner as the best rookie in camp prior to today’s game. Congrats to him. Tarpley threw 11.1 scoreless innings during Grapefruit League play. Andujar and Torres won it the last two years. 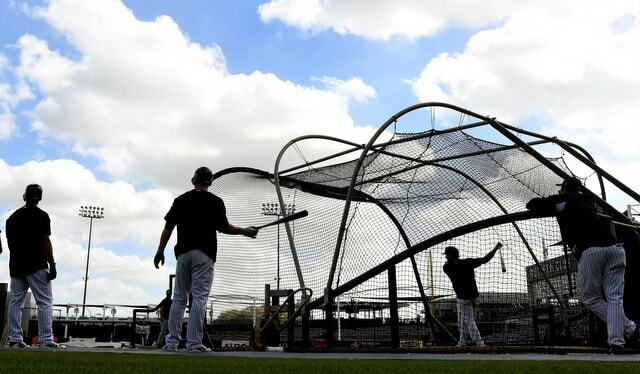 The Yankees wrap up their Grapefruit League season on the road against the Twins tomorrow. Unlike Tanaka today, James Paxton will make a full start tomorrow because he won’t pitch again until the second game of the regular season next Saturday. Lindsey Adler says Greg Bird, Luke Voit, Tyler Wade, Clint Frazier, and Austin Romine are making the trip. Tomorrow’s game will be televised live. In the current age of baseball a 25-man roster is not enough. Teams have an active 25-man roster each night, yes, but there are also a handful of players in Triple-A who shuttle back and forth as needed. New middle relievers are brought in almost daily and teams even swap out bench players for matchup purposes going into a series. There’s the 25-man roster and a Triple-A taxi squad. Last season 49 different players appeared in a game for the Yankees, and that doesn’t include Ryan Bollinger and Domingo Acevedo, who were called up for a day (twice, in Bollinger’s case) but did not appear in a game. A total of 1,379 players appeared in an MLB game last season, or 46 per team on average. The Blue Jays led the way with 63 different players, three more than any other team. The Rockies and Astros used only 41 players apiece, somehow. The Yankees no longer have a top notch farm system but they do have a good farm system. So much of their talent is in the lower minors though, and thus is not a realistic option to be called up this year. The Triple-A taxi squad will likely feature many players we’ve seen already, either guys who were up last year in a similar capacity, or filled a similar role with another team. Some young minor leaguers, some veteran journeymen. Because the Triple-A roster is now an extension of the MLB roster, I think it’s important to look at the projected Triple-A roster to figure out who fits where, and who could be a call-up option. On paper, the big league roster is fairly set. The Yankees don’t have many open spots or undecided roles, which makes this exercise a little easier. There’s not as much guesswork as usual. Let’s start with position players. Here are the Triple-A roster candidates. An asterisk (*) denotes a player on the 40-man roster. At the moment the Yankees have one bench spot unaccounted for at the big league level. That’s it. Assuming another three-man bench/eight-man bullpen, the other eleven position player spots have been accounted for already. Injuries could change things, of course, and they will, but right now all but one of the 12 position player spots are filled. That makes life easy here. Let’s go through the Triple-A position players. Catcher: Always the easiest position. Gary Sanchez and Austin Romine are locked into big league roster spots, leaving Higashioka (the up-and-down third catcher) and Lavarnway (has MLB time) for Triple-A Scranton. Diaz figures to bounce between Double-A and Triple-A as needed, which he’s done the last few seasons. Higashioka and Lavarnway will be Scranton’s catchers. Infielders: Earlier this month Brian Cashman said Voit will be the big league starting first baseman “unless Bird beats him out,” and right now my guess is Bird will not beat him out in Spring Training. Voit was the starter to finish last season and I’ll bet on him being the starter to begin this season. We can remove Voit from Triple-A consideration. That said, I think the chances of Bird getting the final big league bench spot are annoyingly high. He seems immune to being sent down. Even last August, after Voit took the first base job, the Yankees kept Bird on the bench rather than send him down for at-bats. I don’t get it. If he loses the first base job, he should be sent down, but I just can’t shake the feeling he’s going to be the final bench guy. Because of that I’m going to assume Bird is in the big leagues, meaning Wade and Estrada are definitely in Triple-A, as is Ford. Urshela has big league time and was the RailRiders’ best hitter late last season, so he’ll of course be in Triple-A as well. That’s the starting infield right there. Urshela, Estrada, Wade, and Ford around the horn. Holder’s going to play everyday in Double-A, not sit on the Triple-A bench. That leaves Alvarez and Katoh for possible bench roles. We’ll get to them in a bit. Outfielders: Bird getting the final MLB bench spot means Frazier goes to Triple-A, which is fine with me. He missed the end of last season with post-concussion symptoms and getting him regular at-bats in the minors wouldn’t be the worst thing. I expect Frazier to be at least platooning with Brett Gardner in left field by the end of the season, if not playing the position on an everyday basis. For now, he’s Scranton bound. Burns has big league time and is ticketed for Triple-A. Lipka getting an invite to Spring Training leads me to believe the Yankees are not planning to send him down to Double-A, where he played most of last year. If Lipka is ticketed for Triple-A, it leaves Amburgey, Hendrix, and Zehner for the fourth outfielder’s spot. Zehner has spent the last year and a half in Triple-A and Hendrix has spent the last year and a half in Double-A. Hmmm. Amburgey had a good but not great year in Double-A last season and, if Lipka is going to Triple-A, I think Amburgey goes back to Double-A to play every day. If the Yankees are willing to send Lipka to Double-A, then Amburgey would go to Triple-A. My hunch is Lipka to Triple-A, Zehner as Scranton’s fourth outfielder, and Amburgey and Hendrix to Double-A. Once the inevitable injury or call-up strikes, Amburgey or Hendrix gets moved up. Utility: We have two catchers (Higashioka, Lavarnway), four infielders (Estrada, Ford, Urshela, Wade), and four outfielders (Burns, Frazier, Lipka, Zehner). That leaves two open position player spots and, honestly, these are easy calls. It should be Mazzilli and McBroom. They have the most Triple-A time among the remaining players and they’d allow Alvarez and Katoh to play everyday in Double-A. Bolasky and Fleming are organizational utility guys who’ve been bouncing from level-to-level the last few years. No reason to think they won’t do it again. The RailRiders had some absurdly strong lineups last year before injuries and the trade deadline thinned out the roster. The projected 2019 lineup I have above is quite strong for Triple-A. Devoid of prospects (Estrada is the only actual prospect in that lineup now that Wade and Frazier have graduated to MLB) but still strong. The RailRiders will score some runs this coming season. Now let’s get to the pitching staff. The Sonny Gray trade means the Yankees now have two open big league bullpen spots. By no means do I think this is set in stone, but it wouldn’t surprise me if Cessa and Kahnle have a leg up on those two bullpen spots because they are out of minor league options and can’t be sent to Triple-A without passing through waivers. I don’t think either would clear. If A.J. Cole got claimed earlier this month, Cessa and Kahnle would get claimed. Because of that, I’m going to assume Cessa and Kahnle are getting the final two big league bullpen spots for the purposes of this exercise. I’m also assuming Heller won’t be ready to pitch Opening Day. He had his Tommy John surgery on April 7th last year and is likely looking at a May or June return. We can remove him from consideration for the RailRiders’ pitching staff. There are 20 names in the table. Removing Cessa, Kahnle, and Heller leaves up 17 candidates for the 13-man Triple-A pitching staff. Starters: Is it me or does this seem completely obvious? Adams, German, Hutchison, King, and Loaisiga should be the Triple-A Scranton starters to begin the season. Keller is a fringe prospect who was just okay with Double-A Trenton last year. Sending him back there is no big deal. Cortes has done the Triple-A swingman thing plenty already and I think he’s headed for that role again. That leaves Acevedo, who has a strong case to begin the season in Triple-A after throwing 144 very good (2.63 ERA and 3.06 FIP) innings with Double-A Trenton the last two years. There is a numbers crunch here though. Adams, German, King, and Loaisiga are legitimate prospects (German’s exhausted his rookie eligibility but you know what I mean) who need to work on things in Triple-A and also stay ready for a possible call-up. Hutchison didn’t sign with the Yankees to be a Triple-A long man. Because of that, I think Acevedo is ticketed for a return to Double-A to begin the season, which is not the end of the world. Someone will get hurt or traded or called up before April ends, at which point Acevedo can come up and assume the rotation spot. Besides, after missing so much time last year, I kinda want to see Acevedo miss bats in Double-A again (20.2% strikeouts last year) before moving him up. Adams, German, Hutchison, King, Loaisiga is the tentative Triple-A rotation in whatever order, and I feel pretty good about that. Relievers: Cortes is likely to again serve as the heavily used swingman — part of me wonders whether the Yankees would use a six-man rotation in Scranton to begin the season (probably not) — and the rest of the bullpen falls into place behind him. Espinal and Harvey were a dynamite setup man/closer combination for the RailRiders last year and they’ll do it again this year. Tarpley will join them as a late-inning option. That assumes Kahnle and Cessa are in the big leagues and Heller will still be rehabbing come Opening Day. Acevedo, Keller, and Diehl go to Double-A. Diehl threw only 26.2 innings at Double-A last year, so going back there to begin this season is no big deal. Lail draws the short straw and is the odd man out, but he bounced back and forth between Double-A and Triple-A last year, and doing it again wouldn’t surprise me. He’s been passed by several others in the organization, like Harvey and Tarpley. I should note it is not uncommon for a Triple-A team to carry nine relievers and two bench players at various points throughout the season, especially in April, when young starters are still getting stretched all the way out. Lail’s the obvious candidate to be the ninth reliever and I imagine McBroom would get dropped from the position player group to open a spot. Zehner has more Triple-A time and Mazzilli can play anywhere. McBroom rode the Double-A/Triple-A shuttle last year and he’d do it again this year. Update: I completely forgot about the recently signed Danny Farquhar. He’s obviously going to Triple-A. I think that would mean Coshow gets pushed down to Double-A since he struggled with the RailRiders last year. My bad. Wade (infield), Frazier (outfield), and Higashioka (catcher) are poised to be the regular up-and-down position players this season. Estrada lost essentially an entire season to injury last year and figures to stay in Triple-A to make up for that lost time. Pitching staff call-ups are a little more up in the air because they depend as much on who’s available (so and so started yesterday, etc.) as they do who the Yankees want to call up. Because the MLB roster is fairly set right now, piecing together the Triple-A team is fairly straightforward. At least until injuries and call-ups throw a wrench into things. Three weeks from tomorrow pitchers and catchers will report to Tampa to begin Spring Training 2019. And, at some point between now and then, the Yankees will announce their non-roster invitees. Those are non-40-man roster players they are bringing to Major League Spring Training. All other non-40-man players go to minor league camp at the Himes Complex across the street. Non-roster invitees come in all shapes and sizes. Some are top prospects and some are mid-range prospects. Others are veteran journeymen trying to hang on. Teams usually bring 20-25 non-roster players to camp each last year. Last spring the Yankees had 20 non-roster players in camp. Two years ago it was 23. Expect a similar amount this spring. The 40-man roster plus 20-25 non-roster invitees equals 60-65 total players in Spring Training. So, with the non-roster invitee list due to be announced in the near future, I figured this is as good a time as any to look at the minor leaguers who could find themselves in big league camp this year. Some are obvious. Many aren’t. Let’s break this down position-by-position. Every year every team invites a bunch of non-roster catchers to Spring Training. Why? Because who else is supposed to catch all those bullpen sessions and simulated games? The workload has to be spread around. And remember, Sanchez is coming back from offseason shoulder surgery. It was his non-throwing shoulder, but still. The Yankees will take it easy on him in February and March because they don’t want to put him at risk of missing time between April and November. Expect to see plenty of non-roster catchers against this spring. Do not, however, expect to see Anthony Seigler or Josh Breaux, the Yankees’ top two picks in last year’s draft. It is not the appropriate place for them at this point of their careers. Only once in the last 13 years have the Yankees brought their first round pick in the previous year’s draft to Spring Training as a non-roster player. That was James Kaprielian in 2016. Ian Kennedy and Joba Chamberlain didn’t even get non-roster invites in 2007. Seigler and Breaux won’t be in big league camp. It’s not their time. My Prediction: Francisco Diaz, Ryan Lavarnway, Ryan Lidge, Donny Sands. Add in the three 40-man roster guys and that’s seven catchers total. Plenty for bullpens. Lavarnway signed a minor league deal and has big league time, so it’s safe to assume he’ll be a non-roster guy. Diaz has been a non-roster invitee each of the last three years. The Yankees re-signed him as a minor league free agent a few weeks ago and I’m sure he’ll again be in camp as a non-roster guy. Lidge was the Yankees’ 20th round pick in 2017 and he played most of his games last year with Double-A Trenton. A catcher with Double-A time is prime “someone to catch spring bullpens” fodder. I’m on the fence about Sands. He has no Double-A time and only 42 High-A games under his belt. I’m just not sure who else it would be with Chace Numata and Jorge Saez, non-roster catchers last year, no longer in the organization. Maybe the Yankees have a low profile catcher signing coming? I could see it. I feel good about Diaz, Lavarnway, and Lidge. The seventh spot is a little more wide open. The Yankees currently have nine infielders on the 40-man roster. Nine! That’s a ton. One of them is Gregorius, who won’t actually play in Spring Training because he’s rehabbing from Tommy John surgery, but eight 40-man infielders is still a lot. Torres and Andujar are locked into positions now — that wasn’t the case last spring — but there’s the Tulowitzki comeback attempt and LeMahieu learning how to be a utility guy, so there will be some infield intrigue in Spring Training. Almost every notable infield prospect in the organization is already on the 40-man roster. Kyle Holder is the exception. He was in camp as a non-roster player last spring. He also played only 48 games last season due to injury and family matters, and he was passed over in the Rule 5 Draft. I still think the Yankees like him enough to bring him to camp as a non-roster guy. Holder’s a relatively recent high draft pick and gosh can the kid play defense. If you stuck around to watch the late innings of Grapefruit League games last year, you saw him play a beautiful shortstop. Lower level infield prospects like Diego Castillo, Dermis Garcia, and Hoy Jun Park are not non-roster caliber players. Not right now and, given their development in recent years, maybe not ever. In most other years I’d be tempted to say Brandon Wagner is a non-roster candidate. He reached Double-A last season and finished one off the farm system home run lead. That said, there will be so many 40-man roster infielders in camp this year that I think Wagner gets squeezed out. There are only so many at-bats to go around. My Prediction: Holder and Gio Urshela. Urshela, like Lavarnway, signed a minor league deal earlier this offseason and has big league time. He’ll be in Spring Training as a non-roster dude. Holder, Urshela, and the 40-man roster guys give the Yankees ten infielders for camp, not including Gregorius. Voit and Bird are the only true first basemen among those ten, but LeMahieu is apparently going to play some first, and both Lavarnway and Diaz have played the position as well. Maybe we’ll even see Andujar at first base. Either way, the Yankees are covered. Frazier was recently cleared to play in Spring Training and that’s great news. I’m looking forward to seeing what he does with good health this season. Ellsbury, on the other hand, is coming back from hip surgery and a few weeks ago Brian Cashman admitted Ellsbury is questionable for Opening Day. If he’s questionable for Opening Day, then he’s questionable for Spring Training. So that’s really five healthy 40-man roster outfielders. With only five healthy 40-man roster outfielders — and one of those five was only recently cleared for full-fledged baseball activities — it seems to me the Yankees will bring at least one upper level depth outfielder to camp as a non-roster player. The likely candidates: Trey Amburgey, Jeff Hendrix, and Zack Zehner. Hendrix saw quite a bit of time as a minor league call-up in road games last spring. Amburgey is the best prospect of the bunch though, and prospect status tends to break ties. My Prediction: Amburgey, Florial, Billy Burns, Matt Lipka. Burns and Lipka signed minor league deals earlier this month and the Yankees officially announced both contracts include an invitation to Spring Training, so there you go. There’s no mystery here. They’ll be there. Amburgey, Burns, Florial, and Lipka plus the five healthy 40-man roster guys would give the Yankees nine outfielders in Spring Training. Wade can play the outfield too, so that’s ten. That’s plenty. Part of me wonders if we’ll see LeMahieu out there at some point. Heller is rehabbing from Tommy John surgery, so he’s a Spring Training non-factor. I’m looking forward to seeing Abreu and Acevedo in Grapefruit League action, personally. Abreu missed camp last year after having his appendix removed and Acevedo was held back because he spent part of the offseason recovering from a shoulder issue and his velocity was down. I also want to see Harvey because I’ve never seen him before, and Kahnle because I’m curious about his velocity. Hopefully it returns. Anyway, the Yankees are loaded with pitching prospects. Too bad so many of them are in the low minors. You’re not going to see Luis Medina or Roansy Contreras or even Deivi Garcia in big league camp. Garcia is at best a maybe. I’m not saying that because I don’t like him as a prospect. I do. I’m saying that because history suggests the Yankees will not bring a 19-year-old pitching prospect to big league camp. It’s just not something they do. It’s not something many teams do, in fact. The second tier pitching prospects though, the 20-somethings with Double-A (and in some cases Triple-A) time? We’ll see a few in camp. Always do. Mike King is an obvious yes. Do what he did last year while reaching Triple-A and you’ve earned yourself a non-roster invite. There’s a pretty good chance King will be called up at some point in 2019 and the Yankees will want him to get to know his teammates and coaches before that, and vice versa. Spring Training is the time to do it. King’s as easy a yes as it gets. Nick Nelson, Trevor Stephan, and Garrett Whitlock are all potential non-roster candidates as well. So is Clarke Schmidt, the Yankees’ first round pick two years ago, in my opinion. He completed his Tommy John surgery rehab last season and pitched well in his limited game action. The Yankees are set to turn him loose this year and my hunch is that includes a Spring Training invite. He’ll probably be among the first cuts, but I think he’ll be there. My Prediction: King, Nelson, Schmidt, Raynel Espinal, Danny Farquhar, Drew Hutchison, Brady Lail, one TBD spot. The Yankees reportedly want a swingman/sixth starter type to replace Sonny Gray, hence that TBD spot. Maybe they wind up getting a lefty instead. I’ll play the odds and predict a righty. Anyway, Farquhar and Hutchison signed minor league deals and have big league time, so they’ll be in camp. In fact, the Yankees announced Hutchison’s deal includes a spring invite, so there you go. Lail’s been a non-roster guy each of the last three years — the Yankees seem to like him despite never calling him up or protecting him from the Rule 5 Draft — and I see no reason to think this spring will be any different. Espinal was a non-roster guy last year and he had a strong Triple-A season, so I think he’s back as well. He’s a potential inventory arm, someone who comes up in an emergency, and candidates for an emergency call-up usually get a Spring Training invite. I’m going with Nelson over Stephan and Whitlock because, well, I’m kinda guessing here. I think at least one of those three gets a non-roster invite, and Nelson is both the oldest and has been in the system the longest, so I think it’ll be him. If the Yankees bring any other righties to big league camp, I think it’s more likely it’ll be a random Triple-A reliever like Cale Coshow or J.P. Feyereisen than Stephan or Whitlock. Between Hutchison, King, Nelson, and Schmidt, that is plenty of extra multi-inning pitchers. Montgomery is still rehabbing from Tommy John surgery and we won’t see him in Grapefruit League games. We might not even see him throw bullpens in Spring Training. Montgomery had his elbow rebuild in June and pitchers usually don’t get back up on a mound until 8-10 months into the rehab process. He’ll just be getting to that point as Spring Training begins, which means little to no action. A bummer, but not a surprise. The Yankees do not have any notable left-handed pitching prospects now that Justus Sheffield (and Josh Rogers) has been traded. Their best lefty pitching prospect is, uh, Nestor Cortes? Phil Diehl? Not great. Diehl had a statistically excellent 2018 season (2.51 ERA and 2.24 FIP with 36.2% strikeouts and 7.7% walks) and the Yankees had him throw simulated at-bats to Judge late in the season, when Judge was coming back from his wrist injury, which tells us the Yankees trust Diehl’s control. Otherwise they wouldn’t have let him pitch to the most valuable player in the organization and risk his wrist getting hit again. Maybe they’ll bring him to camp? Dunno. My Prediction: Cortes, Diehl, Rex Brothers, Danny Coulombe. Brothers and Coulombe are on minor league contracts and both have quite a bit of big league time, so we know they’ll be in camp. Cortes was in big league camp with the Orioles as a Rule 5 Draft pick last spring — he even made their Opening Day roster — and he had yet another statistically excellent season last year. I think that’s enough to get him to Spring Training this year. Diehl is the token extra lefty reliever. On one hand, the Yankees had 20 non-roster players in camp last year, 23 the year before that, and 26 in each of the two years before that. Twenty-two this year would be a typical number of non-roster players. On the other hand, the Yankees have at least three (Ellsbury, Heller, Montgomery) and possibly four (Sanchez) 40-man roster players who will be either restricted or completely off-limits in Spring Training. The Yankees might carry more non-roster players than usual to cover for the rehabbing 40-man roster guys. The farm system isn’t as strong or as deep as it was a few years ago, mostly because the Yankees have graduated so many of their top prospects to the big leagues. Remember when we all couldn’t wait to see Torres or Judge or Severino in camp as non-roster guys? Now they’re no doubt big leaguers. Florial and King will be the obvious “must see” prospects on this year’s non-roster list and, if they get invited, Nelson and Schmidt will be worth watching as well. Also, bet on there being some surprise non-roster invitees this spring. There are always a few. According to Matt Eddy, the Yankees have re-signed infielder Gio Urshela to a minor league contract. Urshela has some MLB time and it’s safe to assume he’ll be in big league camp as a non-roster invitee. He’s the second minor league signing the Yankees have made this week, joining Ryan Lavarnway. Urshela, 27, came up with the Indians, then went to the Blue Jays in a cash trade this past May, then joined the Yankees in another cash trade in August. He played 27 games with Triple-A Scranton and hit .307/.340/.475 (129 wRC+) with two homers. Urshela is a career .225/.274/.315 (57 wRC+) hitter in 499 big league plate appearances, almost all with Cleveland.
? I am surprised and I am glad the Yankees were able to re-sign Urshela. I thought he’d head to a team that offered an easier path to big league playing time. He’s stuck behind Andujar with the Yankees. As noted in my offseason plan, the RailRiders need a third baseman, and Urshela is as good as a Triple-A depth third baseman as you’ll find in minor league free agency. The Yankees need to replace the injured Didi Gregorius, and while Urshela figures to get a chance to compete for the utility infielder’s job in Spring Training, I don’t think he’s a candidate to play shortstop on an everyday basis while Didi is out. Urshela, Ronald Torreyes, Tyler Wade, Thairo Estrada, and the recently claimed Hanser Alberto represent the Yankees’ infield depth at the moment.